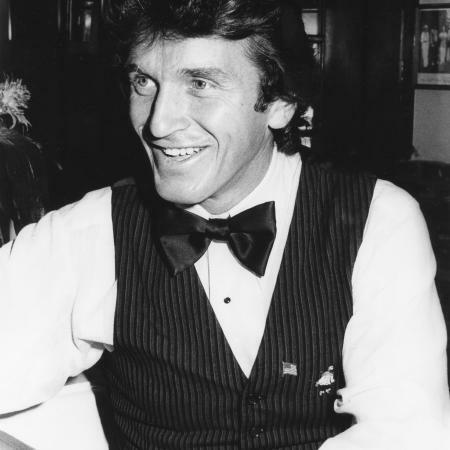 Roger in 1986 at his restaurant Cafe Monet in Beverly Hills. 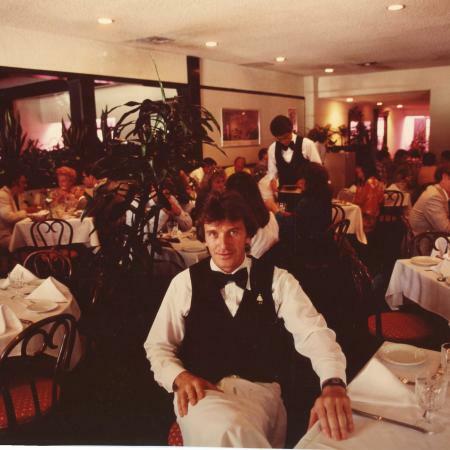 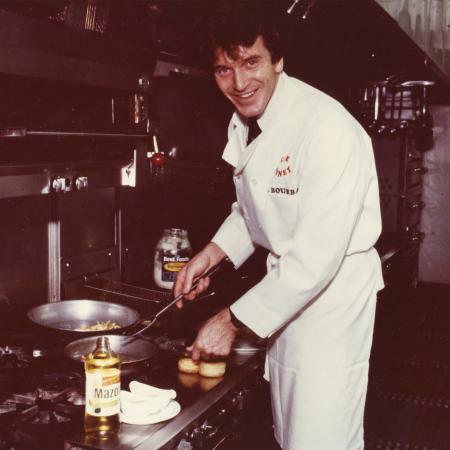 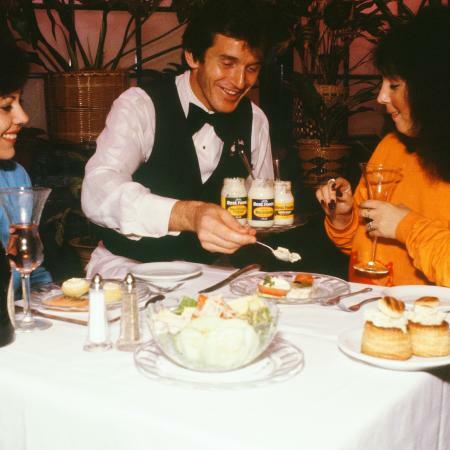 1980 Roger Bourban in his restaurant Cafe Monet Bistro in Beverly-Hills. 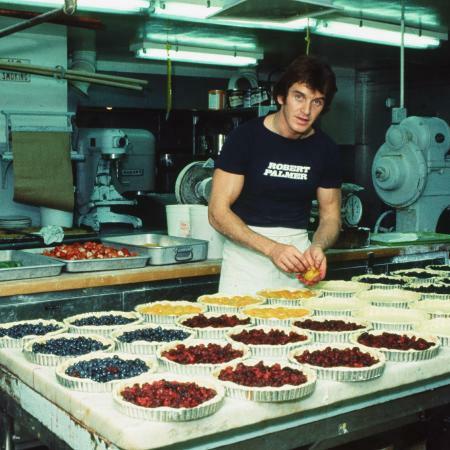 At Waldorf Astoria in New York on December 10, 1976 where he baked a record 201 all fruit tarts. 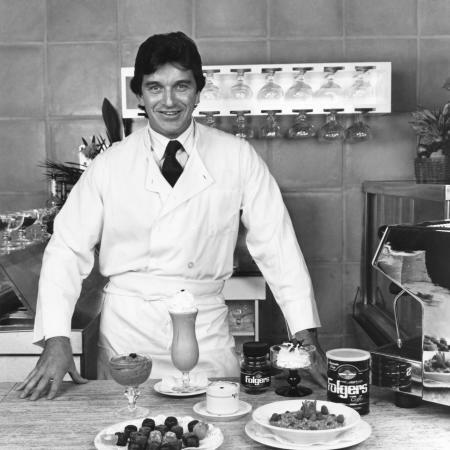 He used 120 lbs of flour, 75 lbs. 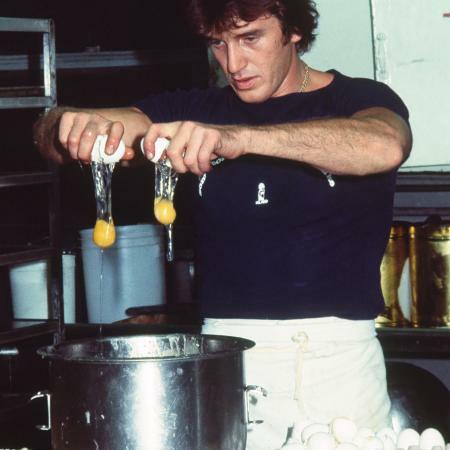 sugar, 93 lbs sweet butter, 41 dozen eggs and 360 assorted fruit. 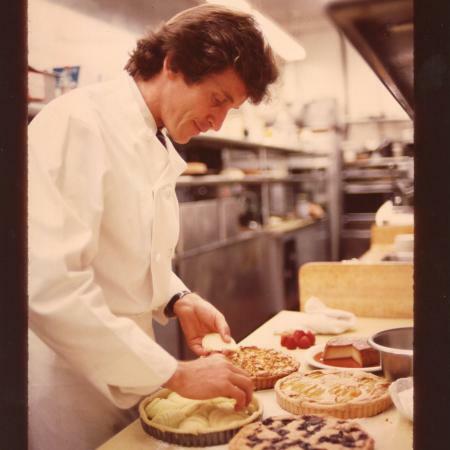 A Guinness World Book of Records Achievement. 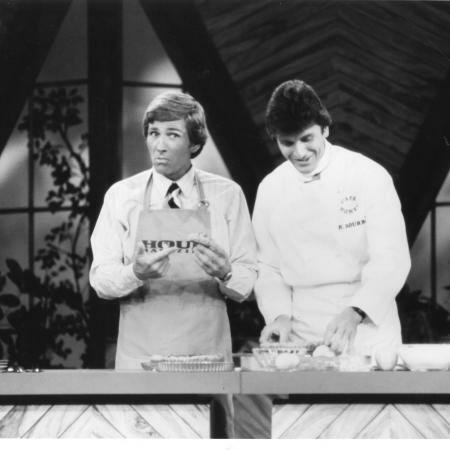 Roger with Gary Collins on tv program Hour Magazine.